When Phillip II of Macedonia needed a teacher skilled enough to keep up with his precocious 14-year-old son Alexander, he recruited the finest mind available: the philosopher Aristotle. For the next six years, Greece’s most formidable intellect taught its most powerful conqueror, Alexander the Great, everything from Ancient Hebrew to the meaning of justice. They also bonded over a shared interest in The Iliad, together preparing a special copy that Alexander carried with him the rest of his life, even stuffing it under his pillow while on military campaigns. Clearly, Philip II knew the value — and potential impact — of a great teacher. Today, our children are more in need of talented teachers and mentors than ever before. Employers of the future—especially in industries undergoing rapid change—are banking on a steady pipeline of young people who can think critically, collaborate effectively, and communicate with clarity. Above all, they want young people who can innovate, who see the world not only as a defined set of “whys”, but also a limitless possibility of “what-ifs.” To support the growth of these young innovators, we’ll need an enormous crop of gifted teachers who can do those things well themselves, and who are innovators in their own right. Where will these new recruits be found? Grow a Teacher believes that they are already sitting in our classrooms, waiting to be inspired. The key to kindling interest in teaching is to give our learners a taste of the experience under the guidance of a teacher they respect, and then… see where it leads. As a person who’s been enthralled with the process of teaching and learning for my entire adult life, I believe it will lead to the discovery that teaching is fun as all get out, ridiculously meaningful, and far more complex and challenging then most people believe. For my first filmed lesson with Grow a Teacher, I chose to work with a gifted former student who was participating in a cross-age mentoring program focused on National Novel Writing Month. Twelve-year-old Andre had painstakingly written a novel with me during the 2016 school year, and I knew that he could speak credibly about his hard-earned insights. He taught a lesson on how to create a protagonist who becomes the engine of conflict within the story, and he held my students in the palm of his hand for 45 minutes. Whether or not this talented young man eventually chooses a career in education, the lesson was a resounding success, and Andre walked away with a dose of empowerment and a new appreciation for the skill it takes to hold the room. It’s gratifying to see my students take the lead in the classroom, and I sense that Grow a Teacher’s vision and passion will catch fire and provide ever-deepening learning experiences for every student who steps into his or her teacher’s shoes. The future of education is being built as we speak, and I’m excited to be involved with visionaries who are imagining creative and joyful ways forward. 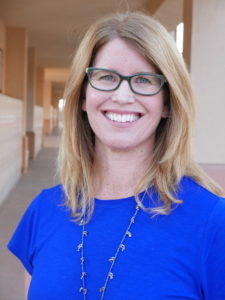 Kim Gullo is a teacher in Tustin Unified School District and an adjunct professor in the credential program at Concordia University in Irvine, California. She has served on the California Association for the Gifted state advisory board and is a frequent speaker at gifted conferences, where she focuses on social-emotional learning. 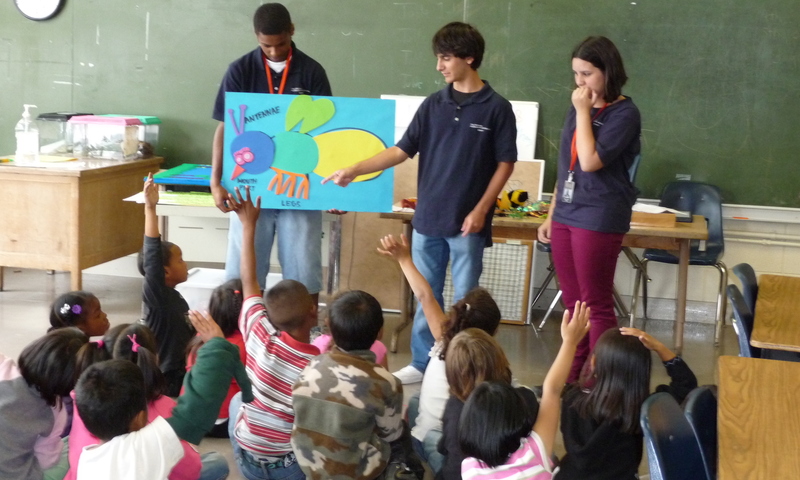 A Cotsen Art of Teaching Foundation Alumnus, Kim holds a B.A. from McGill University in Montreal and an M.S. from Pepperdine University in Malibu.